Yachting in style! The yacht has 1 double cabin plus a sun deck. The main steering is located behind a beautifully classic shaped windshield. 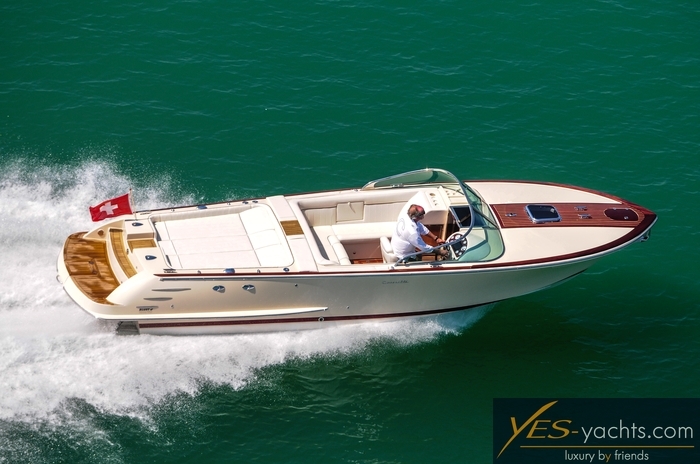 She is a brand-new yacht, Volvo engine set-up & sea-trials are jet to be made just for you. 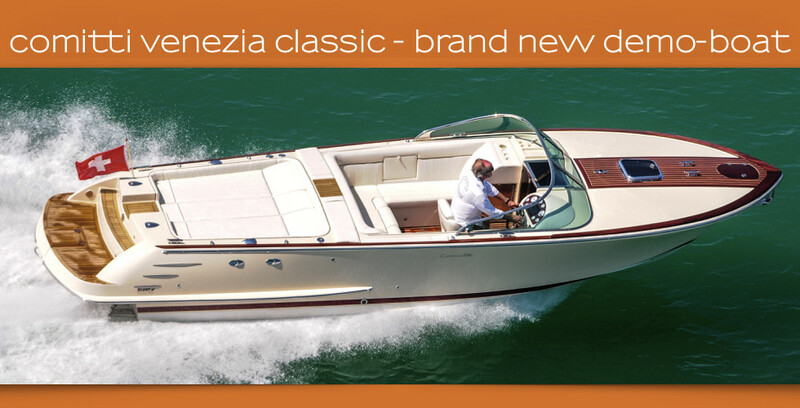 A 2016 built vessel for show-room and exposition purposes only, but with an overall very interesting price-point. 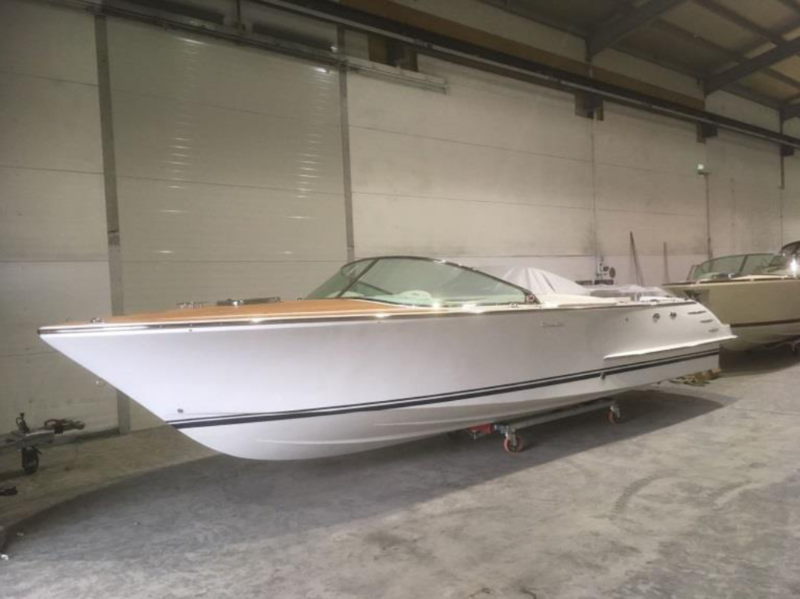 Boat is in astonishing condition, always stored in covered warehouse, new anti-fouling. Only about 0-2 hours on the engines – never been in the water since that! A special trailer can be sold extra. Fresh water 1x 100 Ltr. Total number of people being transported is 8 and a total of 2 persons to sleep aboard. We have all information ready for interested persons- visits welcome with reasonable prior notice. 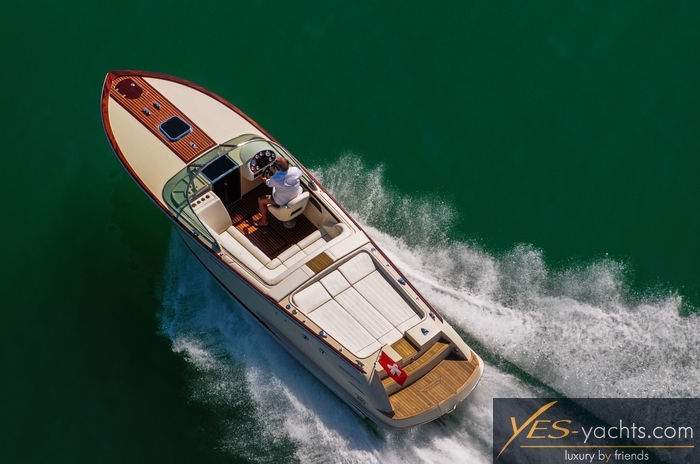 This entry was posted in featured yachts, motor yachts, news, tender & toys and tagged 28 ft, 9.1 meters, classic style, for sale, high performance, hull, Italian shipyard, light weight, like new, motor yacht, superb swiss quality, superstructure, superyacht, superyacht tender, swiss design, toy. Bookmark the permalink.